In this sense, Steem can be considered as an ecosystem formed by a community of living beings (users) and the virtual environment where we interact (the platform)*, Steem is then a unit composed of interdependent users who share the same platform. Now, in every ecosystem there must be a balance that is possible thanks to the "keystone species", whether or not they are top predators that are at the apex of the food chain, since they regulate the population of minor species; and we consider that in Steem the balance has been lost due to the already overflowing existence of serious abuse within the platform since there is no "keystone species" that regulates the population of plagiarists and other abusers through what we would call hard or deep cleaning. @Jaguar.Force wants to give Steem that balance back and generate a relief that allows the growth of and gives greater visibility to the users who live within the platform that do not represent a threat to the health of this ecosystem. This brings many benefits by keeping Steem as a healthy ecosystem where the proliferation of original content is more likely as well as the investment by entrepreneurs/VC's who can see the full potential of Steem even beyond blogging. We want to be a "keystone species" and an apex predator at the same time, the best at what we do. 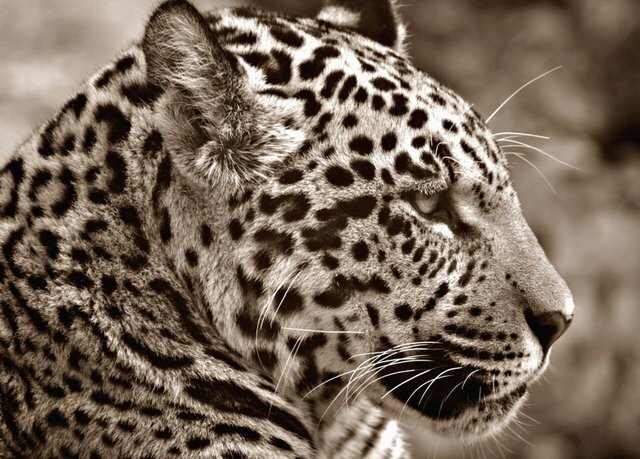 Jaguar Force offers an independent, plagiarism/abuse deep cleaning service through the detection, monitoring and neutralization of abusers within the platform, we provide open source intelligence* derived from systematic hunting and patient reconnaissance, not unlike a Jaguar in a jungle. Once the abuse is detected, it is reported to @steemcleaners and/or the client that has requested the service, and from there on a permanent and detailed monitoring is done in order to avoid recurrent abuse. A report will be published periodically with intelligence to be shared with the community in order to show our achievements, reach, professionalism and thus get support from users and projects that value our capabilities. Jaguar Force is a venture that seeks not only to be born but also to grow as an organization and position itself strategically within Steem, as well as we hope in the future to reach other territories. We are a team made up of users who believe in STEEM, beyond the monetary benefit that it can bring us what motivates us is also a sense of duty and justice we have acquired during our user experience on this platform. We will be sharing with the community our ideas in relation to our activities here and in our soon to be created Discord server. In this way, we hope to have the presence and support of all those who believe in STEEM as much as we do and will do as long as the platform exists. We will demonstrate, as was said at the beginning, how well the jaguar swims and how much it likes it. Anything to combat abuse and plagarsim on Steemit is always a good thing. Good luck! @Jaguar.Force wants to give Steem that balance back and generate a relief that allows the growth of and gives greater visibility to the users who live within the platform that do not represent a threat to the health of this ecosystem. Thank you for sharing this link with me. You asked me if I would like to support your initiative but after reading your publication I really do not know what exactly are you guys doing (Except of reporting to steemcleaners) and how could I possibly support you. Hey welcome in this platform,i hope you will enjoy this and make a lot friends. Currently, I & my friend are supporting for the Planktons by our small upvote. You may like it, check my support here & my friend here. Welcome to Steem jaguar.force! Partiko is officially the fastest and most popular mobile app for Steem. Unlike other Steem apps, we take 0% cut of your earnings! You can also be rewarded with Partiko Points while using Partiko and exchange Partiko Points for upvotes!